I have been exploring making my own fabrics, dyeing with cold water fibre reactive dyes, screen printing using my own designs, using resists with different media and most recently I have been exploring the Shibori technique using stitched resist combined with Indigo dye. I have always had a love of both pattern and colour, translating my own photographs; sometimes abstract and sometimes representational, whichever seems the most appropriate for the subject. At times using computer software to aid the design process and for other subjects drawing, printing and occasionally simply letting the fabrics speak for themselves. 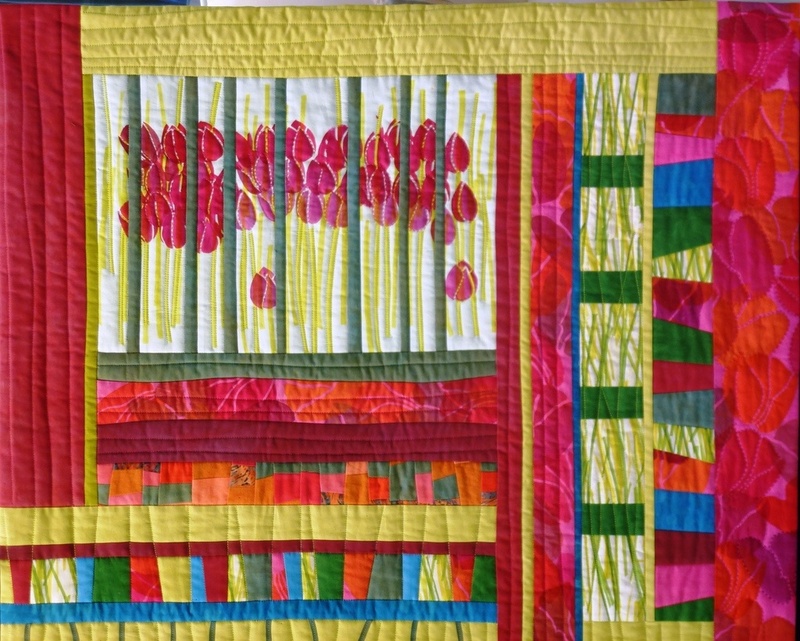 I make because of a personal need to work with colour, pattern, fabric and thread. Although my work in the past has had reflective and deeply personal inspiration, I now find my current exploration of these concepts deeply satisfying. I grew up surrounded by a family of makers, in a very practical sense. Inheriting taught skills which have given me a sound basis on which to expand my own work. I have always had a love of both pattern and colour and have recently been exploring the Shibori technique combined with indigo dye. 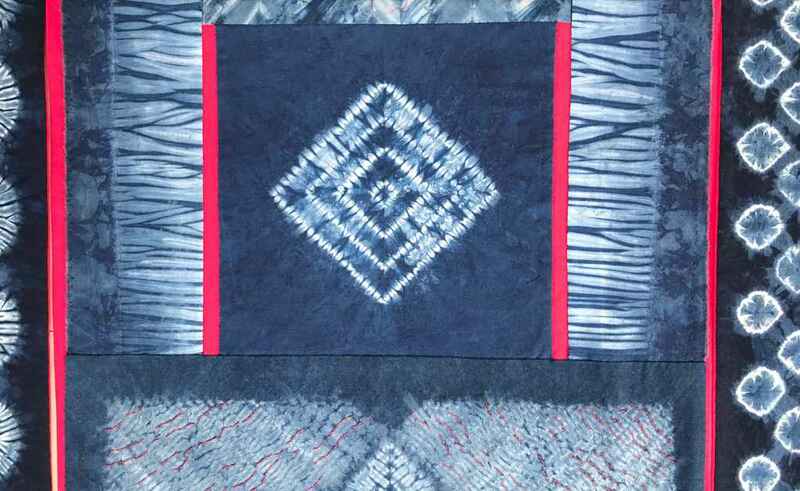 Shibori designs can be achieved using two different methods: to achieve resist in the cloth by clamping or binding, or stitching and tying, the technique that has been used for these pieces. The power of the stitch is the method by which the design is achieved.